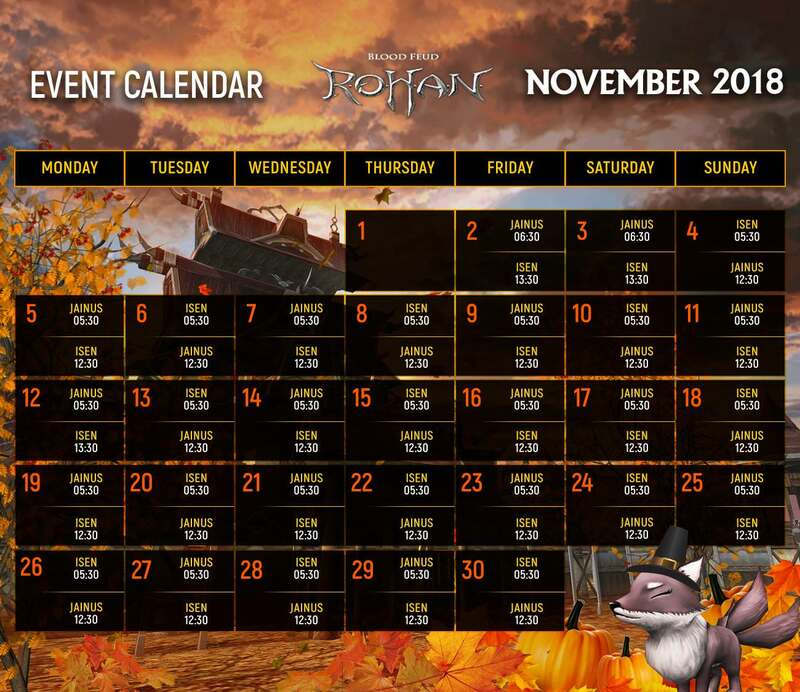 NOTE: We won't be able to handle events on November 1st due to an internal maintenance, know that we will have a weekend boost as compensation for this inconvenience. Note that because of the end of daylight saving time, since November 4th, the server time will move back to 1 hour less. All the events will be handled in PST time. Hey could you add information about the jumbled, bounty hunter and GM kiosk event so we know what they are about? The GM will provide scrambled letters of something Rohan related and the first player to figure it out and whisper the correct word or name to the GM wins. So all the times are gmt?